As a musician, preparing for an Opera presents a unique challenge. Obviously parallels can be drawn to the preparation of a regular orchestral work, in that the musician must know the music inside out, upside down and backwards. Of course I exaggerate (slightly) but each musician must understand the work intimately before the orchestra is able to sculpt a unique interpretation and begin work on portraying that interpretation to the audience. Where do the melodic lines lead? Where are the unexpected harmonic shifts? Rhythmically, what was the composer trying to achieve? In the case of an Opera, a somewhat trickier element also comes into play when live action is added. The Orchestra is now no longer alone and is instead frequently used to provide musical accompaniment, dramatic tension and release, and narrative drive in conjunction with the happenings on stage. As with any live show, anything can happen and therein lies the excitement of a production such as this. I’m excited to return to the pit (following The Marriage of Figaro in 2012) for this musical and dramatic adventure, playing a small role in helping to bring life to Mozart’s fantastic setting of Schikaneder’s text. 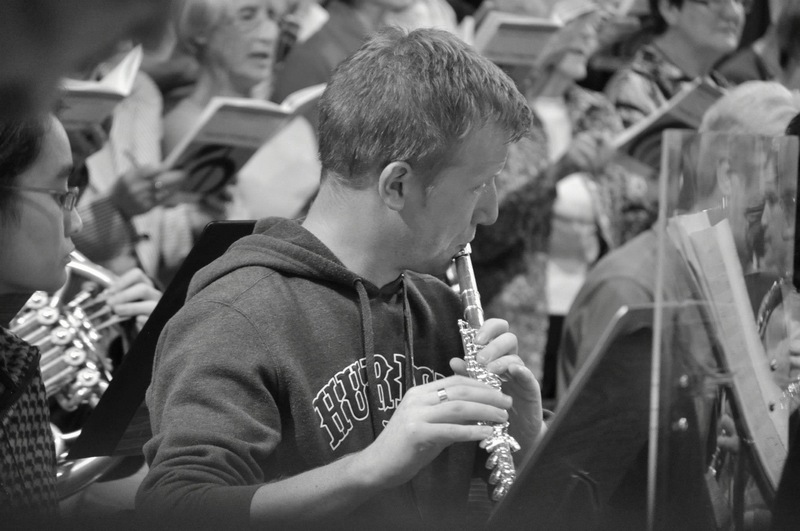 The Magic Flute is a monumental work in the repertoire of any flautist and always an absolute privilege to play.